Back in May we posted an article about two politicians, a state lawmaker and a Baltimore County Councilman, who ran into legal troubles as a result of alcohol related incidents. Both were subsequently convicted of DUI in District Court. It seems that national politicians make news headlines each week for some sort of criminal or scandalous behavior, and state and local politicians are by no means without their share of mishaps. These two incidents are the proof, and as a result we are no longer surprised to read the stories in local news outlets and police blotters. But in the case of delegate Donald Dwyer, you can’t help but be shocked by this most recent arrest. The delegate’s second arrest in the past year is a political catastrophe no doubt, but the implications of this incident extent far beyond politics. Just 8 months ago, in December of 2012, the delegate was arrested and charged with operating a vessel while under the influence of alcohol after he crashed his boat on an Anne Arundel County river. Numerous people, including children, were injured as a result of this boat accident, after which the delegate admitted to drinking at least 8 beers. He subsequently pled guilty to this offense and was sentenced to probation and 30 days in the county jail. But he was able to avoid serving that sentence after his defense attorney filed a de novo appeal to the Circuit Court. Under Maryland law, a criminal defendant has an absolute right to appeal a District Court criminal judgment, and upon filing the appeal the case basically starts over from scratch in the Circuit Court. In this particular case the delegate did not have to immediately serve his jail sentence because he was given an appeal bond, which is commonly granted to first time offenders. On August 6th Dwyer once again pled guilty to the alcohol charge and was given a sentencing date of October 25th of this year. Sentencing was set off to allow him to continue alcohol abuse treatment and education, the progress reports of which would be used as mitigation at the sentencing hearing. 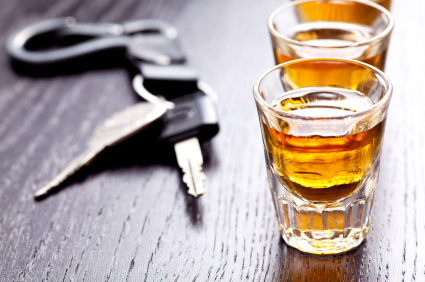 This is a common practice in DUI cases in order to obtain a probation before judgment or PBJ, and in more serious cases a suspended jail sentence. Rather than take advantage of the delayed sentencing date to build a resume of mitigation, the delegate did just the opposite. Two weeks after pleading guilty Dwyer was again arrested for DUI and a host of other traffic infractions such as negligent driving, this time on the roadway and not the waterway. Nobody was injured and there was no accident, but that should matter little to the delegate’s colleagues, the public, and the judge. Fellow state lawmakers have already been outspoken about Dwyer’s behavior and public backlash is imminent. But for now the delegate has bigger problems to deal with. The assistant state’s attorney has already filed a motion to revoke Dwyer’s appeal bond, which will be heard next week. If the judge revokes the bond Dwyer will be remanded to the jail pending the outcome of his case later this fall. And the judge will undoubtedly take this recent arrest into account when making a sentencing decision. The blog will update with an article as new developments occur, but it is likely that the delegate will be in jail or at the very least in inpatient alcohol treatment for the next two months before he is sentenced. Benjamin Herbst is a DUI lawyer serving all Maryland jurisdictions. Benjamin has handled hundreds of drug and alcohol related offenses and is available 24 hours to discuss your case. Call The Herbst Firm anytime at 410-207-2598 for a free consultation.